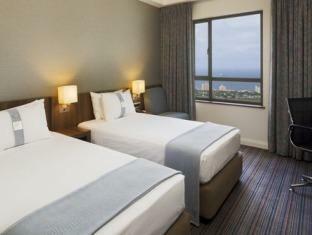 ﻿ Holiday Inn Express Durban - Umhlanga Durban. JIMAT di Agoda.com! 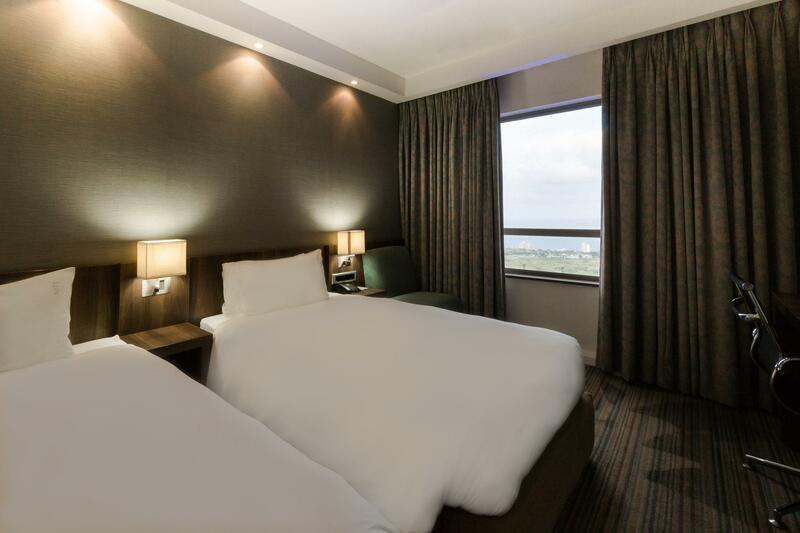 Ada soalan mengenai Holiday Inn Express Durban - Umhlanga? Menawarkan penginapan yang berkualiti tinggi di daerah restoran, beli-belah, pantai di Durban, Holiday Inn Express Durban - Umhlanga merupakan pilihan popular untuk kedua-dua tujuan perniagaan dan percutian. Dari sini, tetamu boleh menikmati semua kemudahan yang bandar ini tawarkan. Penginapan ini berada di sekitar kawasan tarikan bandar yang popular seperti Natal Sharks Board, Hospital Umhlanga, Pusat Teater Barnyard. Menawarkan tetamu perkhidmatan yang unggul dan pelbagai kemudahan, Holiday Inn Express Durban - Umhlanga komited untuk memastikan penginapan anda berada di tahap seberapa selesa yang mungkin. Hotel ini menawarkan pelbagai kemudahan di lokasi untuk memuaskan hati tetamu termasuk yang arif. Semua bilik tetamu menawarkan pelbagai jenis tahap keselesaan. Banyak bilik turut menyediakan televisyen skrin rata, internet wayarles, bilik larangan merokok, penyaman udara, panggilan kejut untuk memuaskan hati tetamu. Di samping itu, pihak hotel menawarkan aktiviti rekreasi untuk memastikan anda mempunyai perkara untuk dilakukan sepanjang penginapan anda. 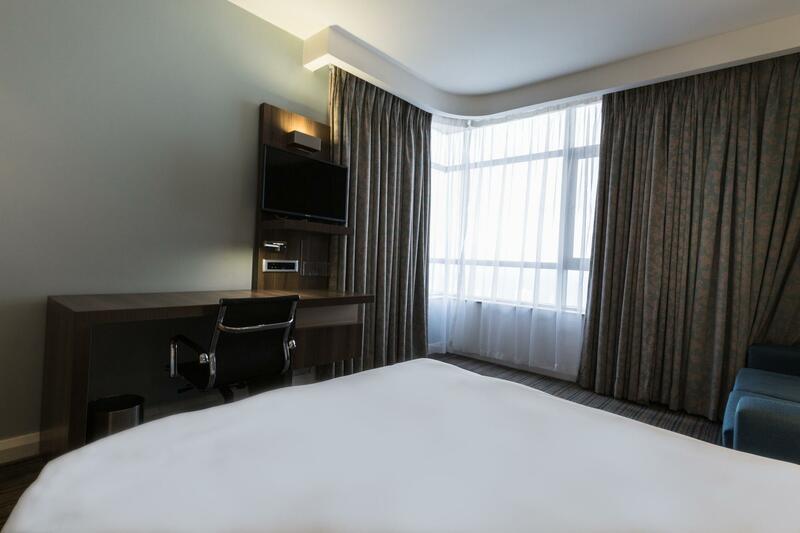 Apa juga tujuan lawatan, Holiday Inn Express Durban - Umhlanga merupakan pilihan yang terbaik bagi penginapan anda di Durban. 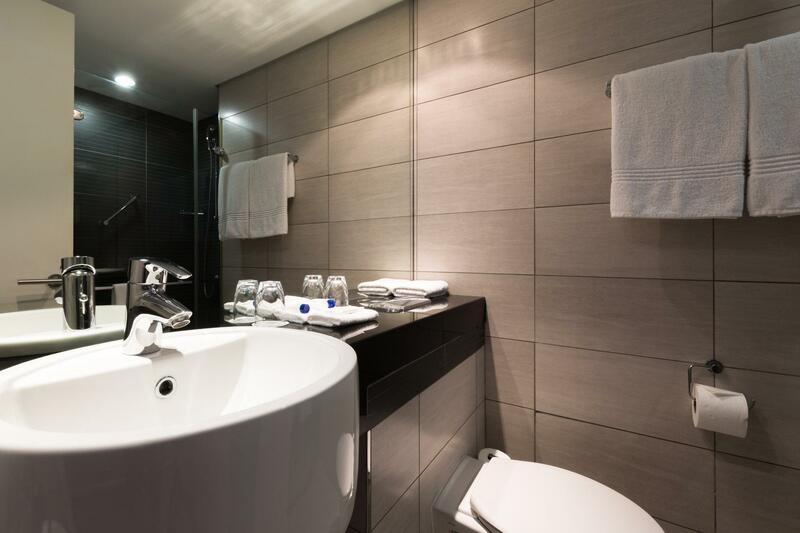 Please note that the credit card used to book the accommodation will need to be presented upon check-in. Please note the hotel offers wireless internet throughout - the first 100MB is free, thereafter charges apply. Second time staying at this hotel, and boy has the standard actually improved! 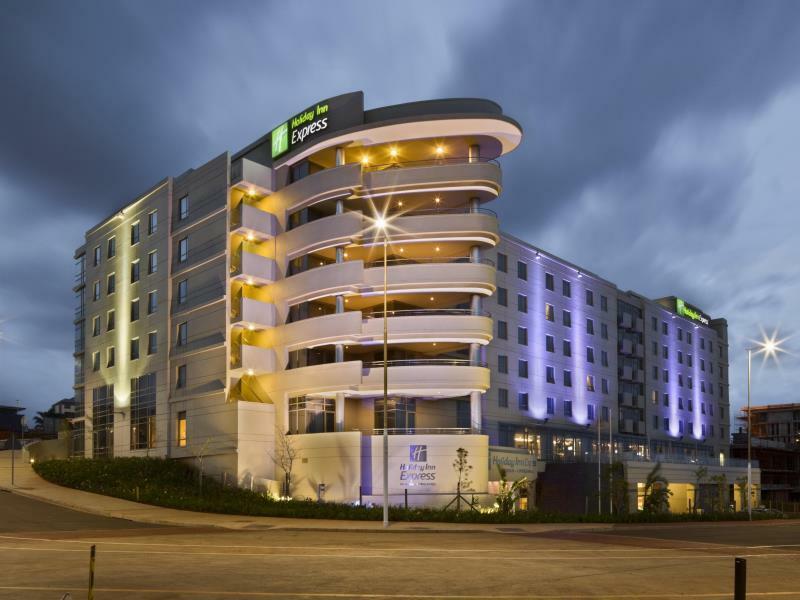 If you’re looking for a no-nonsense, well-priced hotel with all modern amenities in the heart of Umhlanga, this is it! 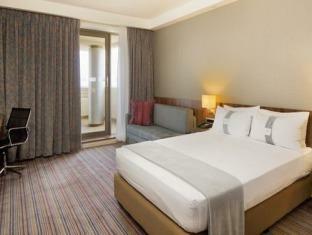 10 min drive to Gateway Mall, 10 min drive to main beaches in Umhlanga, and easy access to highway. Will definitely be back soon! Rooms little small. Not impressed with hand shower. Please change to shower heads. The rooms need an upgrade ,the carpets are old and dirty. The shower has untidy walls. Breakfast and the stuff excellent and the hotel service topnotch. I enjoyed staying at the Holiday Inn Express. The staff are friendly, the rooms are clean and it's location is close to a shopping and hospital (5min by car). The only suggestions I would make is to have more of a variety of cooked foods for the breakfast and to change the access times of the pool to open earlier and close later, perhaps 6am-7pm? Other than that I was impressed with the hotel given that it is an express. Breakfast was really simple. No choice. Staff will come and disturb you early in the morning for housekeeping. Compare to other Holiday inn express, I would recommend don't expect they are the same as other Holiday iNN in other countries. staff were not so friendly as they are always busy. You need to remind them 2 times on your request. On luggage keep in receptionist , the holding key person walk away and no body have the key. Just keep on waiting. It is very disappoting for Hodiay iNN EXPRESS Perforamance. Warm welcome, friendly staff, Fast service!! You are made welcome by a friendly staff, who ensure that you feel at home. Me and my husband enjoy each and every minute we spend there.. We greatly appreciate the kindness and care given by the staff. So now we called it "Our second home"
Booked a non-smoking room but was issued a smoking room. The hotel was unwilling to accommodate us with a different room. I had to cancel my booking at 7pm and find another hotel. Fortunately Agoda was able to issue a full refund and I did not incur any cancellation fee. I expected a bit more in my room. I checked in well after 3.30pm and had to call the housekeeping to clean my shower door which was not even cleaned in the first place. Not sure if detergents are used to clean hand basin etc. If a hand basin is cleaned with proper detergents it should still be shiny clean. Also the tray on which the kettle and cups were on was not cleaned at all. I had to ask housekeeping to clean that too. When sugar & milk is requested it should be delivered on a side plate and not just handed to a guest. Thank you. The staff were not friendly at all. My 3 night stay was cut down to one night due to the cockroach's that were found in the room. I am still waiting for Holiday inn Express to respond to my last email regarding the compensation as I drove back at night in the poring rain back home which is 600km away. 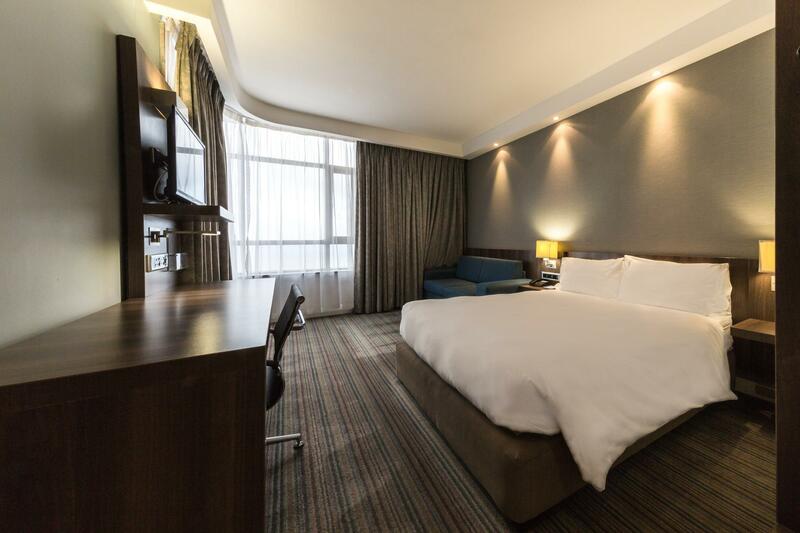 We had an awful experience, as we had booked this and paid for this accommodation in January 2016, One of the days, when we arrived in the hotel, there was a note under the door, asking us to settle the bill or vacate the room.The staff in the billing are so incompetent, after checking out on the final day, only to get home and see that our credit card was debited with an amount of over R8000.00. After several calls it was resolved, but I find this so unacceptable. 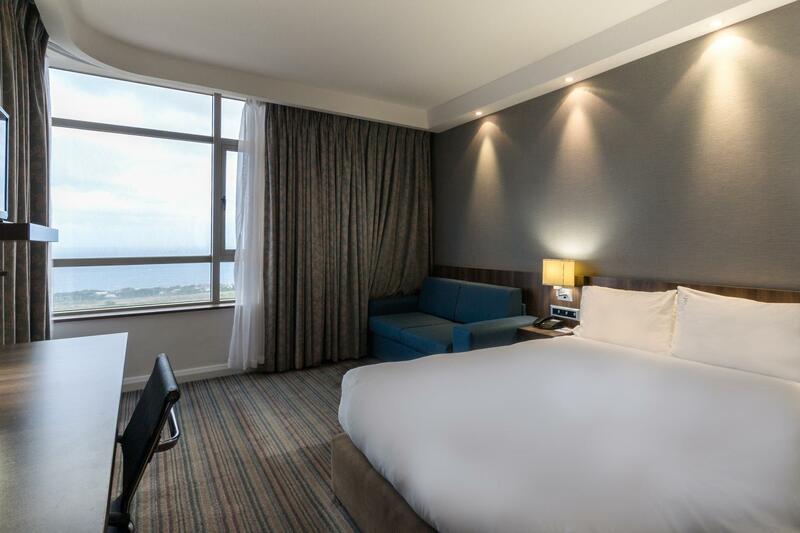 A promising hotel with amazing views of the ocean - modern building in a bustling business district closer to all amenities. Alas - I missed the "express" part in the Holiday Inn name. 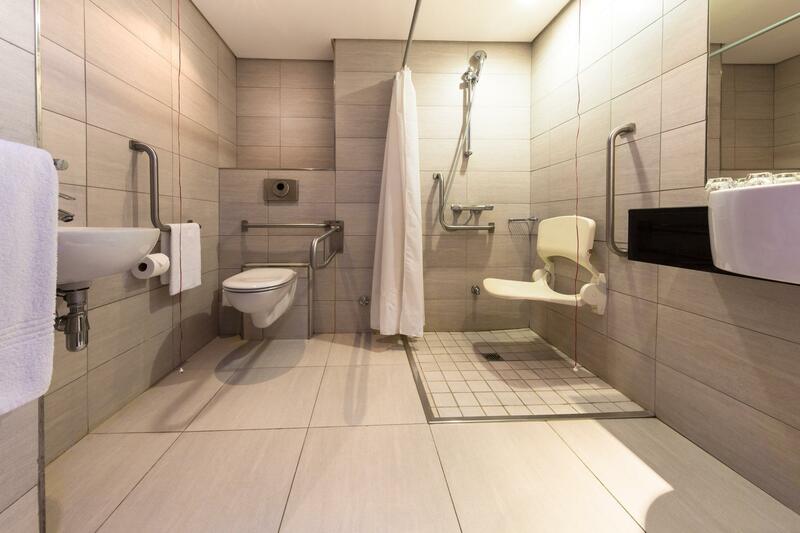 Very small rooms and bathroom for a family of four. This is meant for single travelers or a family of one child. Overall, not a bad place but wouldn't recommend for a big family - staying over for more than 2 days. We spent 3 nights in the hotel. One room was booked for two adults and 2 older kids. However, the room was not comfortable and was small for having two beds in the room. the hotel should not provide the rooms for 4 people. The carpets on the floor was not clean. No room service is available. We came very late in the evening and could not order food on phone. Instead, had to go down to the restaurant, order it. And then come back again to collect. The location is good, close to Gateway mall and to the see.